As the petals reach for the light, the raindrops settle on them. The overcast skies, suppressing their true beauty, the reflections. They wait for a sunburst so they can shine, glisten. This macro shot was made with a Nifty Fifty lens, and a wide aperture. 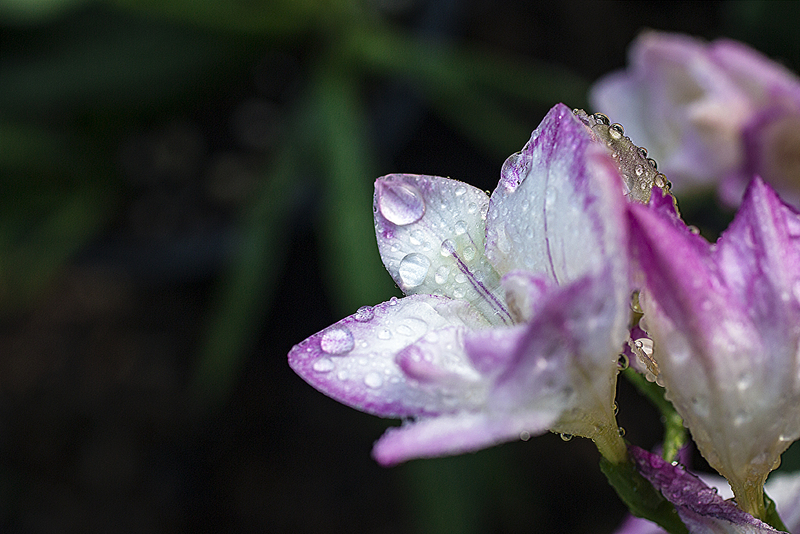 The drops were the subject against the soft petals.